Indian Premier League is the professional Twenty20 cricket league in India and takes place during April and May. The teams represent Indian cities and some states. 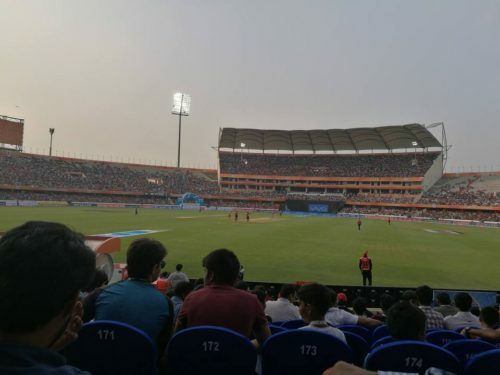 IPL is also the most attended cricket league in Asia, becoming the sixth in the world in 2014 by attendance. The opening game of IPL 2018 between Chennai Super Kings and Mumbai Indians ended with the first team winning by just one wicket. The most active players of the game where Suryakumar Yadav and Krunal Pandya playing for Mumbai and Dwayne Bravo playing for the Super Kings. The IPL result made everybody happy especially because the Mumbai’s didn’t lose in front of the Kings for two years. Other two teams of the IPL had got out of the game with victories, Kings XI Punjab beating by six wickets the Delhi Daredevils and Kolkata Knight Riders beating by four wickets the Royal Challengers Bangalore. Playing for Kings XI Punjab, KL Rahul managed to hit the fastest half-century in the history of IPL. He also reached 50 from just 14 balls. In the IPL latest match, Rajasthan Royals lost by nine wickets in front of Sunrisers Hyderabad and Chennai Super Kings vs. Kolkata Knight Riders ended with the victory of the first team by five wickets. IPL is a serious league, therefore, there are also valuable team members banned for ball-tampering. These players are Steve Smith and David Warner. The Rajasthan Royals named Ajinkya Rahane as the captain of the team and they have replaced Smith with Heinrich Klaasen. The other disgraced player of IPL, David Warner, playing for Sunrisers Hyderabad had been replaced by Alex Hales. Kolkata Knight Riders also replaced one of their squad members Mitchell Starc with Tom Curran. The Mumbai Indians replaced Jason Behrendorff with Mitchell McClenaghan. The Royal Challengers Bangalore called Corey Anderson to replace injured player Nathan Coulter-Nile. IPL fast bowler, Kagiso Rabada player of the Delhi Daredevils squad had to be replaced for health issues with Liam Plunkett. A late replacement for Kedar Jadhav who suffered an injury is David Willey playing for Chennai Super Kings in the IPL. The IPL competition is structured in a classic format. 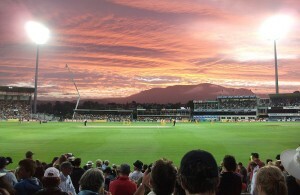 The teams play two games in a home and away format. When this tournament is completed, the top four teams will play the playoff. The IPL top two teams will play the qualifying round on 22 of May and the third and fourth placed teams will play in the eliminatory round on 23 of May. The winner of the qualifying game will go straight to the final, while the loser will have to play against the winner of the eliminator match on the 25th of May. The IPL final will take place Sunday, 27 May: 3.30pm at the Wankhede Stadium in Mumbai. If you are interested gambling and cricket then IPL is for sure the league for you. Also, if you want to be even more informed regarding IPL betting you can find some good odds comparison here. While thinking of betting your money on one of the teams, remember that IPL is a serious league where a huge amount of money is invested and valuable players dedicate their lives to the game.